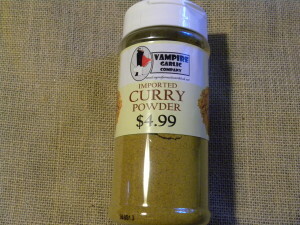 Curry powder is a free flowing, golden powder composed of spices, tumeric, dehydrated garlic, and silicon dioxide to prevent caking. Different variations of curry powder are common in Indian cuisine. An increase in consumption of Indian cuisine made the different variations of the spice uneconomical, and in the 1960’s recipes became more standardized. GLUTEN, SUGAR, SODIUM FREE, NO MSG!